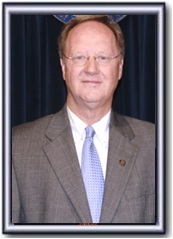 State Representative Randall Shedd, R-Fairview was sworn into office today in ceremonies at Wallace State College in Hanceville. Shedd was elected in a special election in 2013 and ran unopposed in the 2014 election. Shedd said he chose Hanceville and Wallace State for the ceremony location because they are new to his district and Hanceville is now the largest city in his district. “With the oath ceremony, I want to demonstrate that I will be a strong voice for Wallace State College,” Shedd said. “Today, we begin a new scholarship for Wallace State students living in my legislative district who use dual enrollment,” Shedd added. Shedd told the crowd in attendance that he will continue with his Legislative Community Meetings throughout the four counties in his district and will listen to people in his district as he develops his legislative plans for the next session which begins March 3, 2014. I ask for everyone’s prayers as I try to do the right thing in Montgomery,” Shedd said in closing.